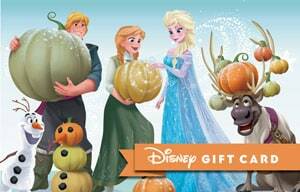 Another $50 Disney Gift Card is up for grabs in our free to enter Giveaway! We are celebrating the success of our Disney Cruise Line Group which has grown to over 200 members since we launched it last month. We have lots of giveaways there which are exclusive to the Group so if you want to join click on this link. What will you spend your $50 gift card on if you win? The Disney Sweepstakes closes on 11/05/18 at midnight. A winner will be chosen at random after the closing date. Follow the simple directions below to enter to WIN!